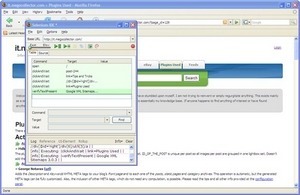 Selenium is a test tool for web applications. 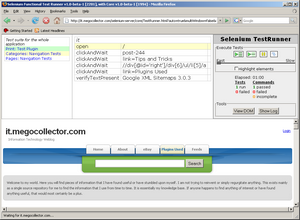 Selenium tests run directly in a browser. I have put together a guide to show how to take many Selenium scripts and automate them using a single test. 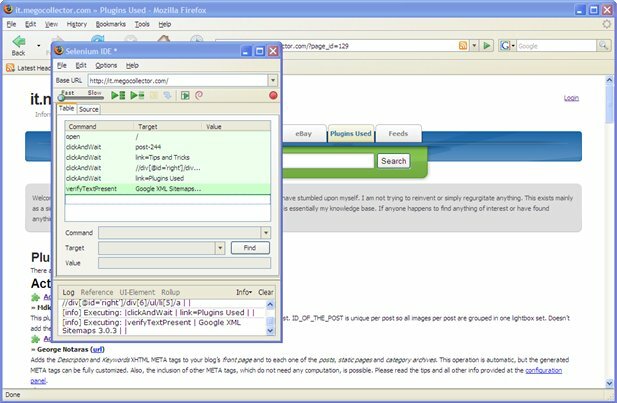 Download Selenium IDE (Firefox plug-in) (i.e. selenium-ide-1.0-beta-1.xpi) and install by opening a Firefox window and dragging and dropping selenium-ide-1.0-beta-1.xpi onto a Firefox window. Note: This has been tested in a Windows environment; this however, is an operating system independent procedure. 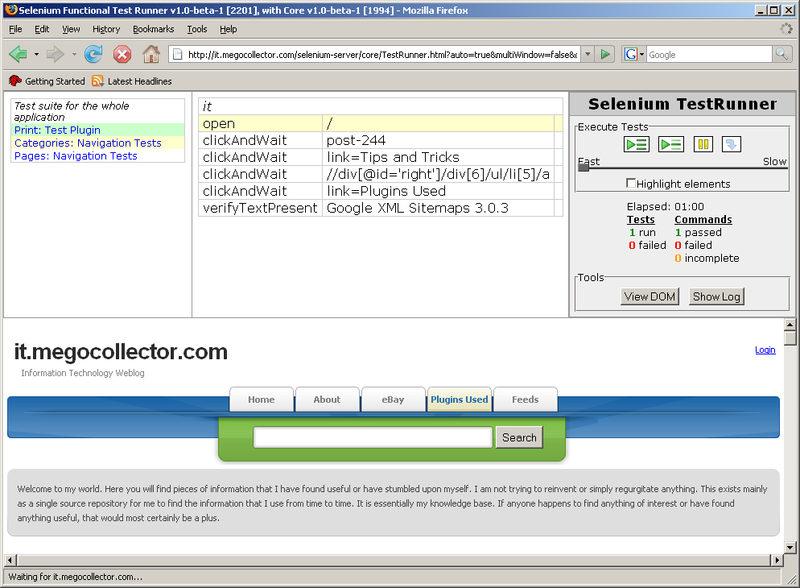 java -jar "D:\selenium-server-1.0-beta-1\selenium-server.jar" -htmlSuite "*firefox" "https://it.megocollector.com" "D:\seleniumtests\testsuite.html" "D:\seleniumtests\results.html"
a popup screen similar to this may appear. After the cmd window closes goto (D:\seleniumtests\results.html) for the results, done.